Commissioned to design and specify the FF&E for RIBA stage three developed design and stage four technical incorporating legacy furniture for contractor proposals. 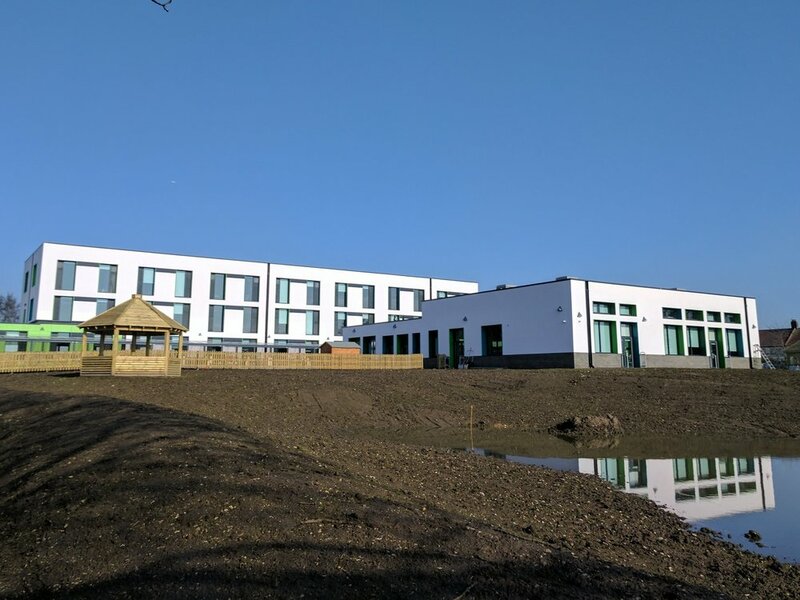 FFE Consulting went on to procure and manage the installation for Hacton’s new Primary building which is a part of the Priority School Building Programme. FFE Consulting have worked with Galliford Try since April 2015 on this project from tender stage through to completion. We carried out numerous engagements with the School and design workshops with Scott Brownrigg architects to coordinate all finishes to compliment the feature walls and colour system chosen for the building. From October to December 2016 we installed the furniture on site and managed the loose furniture and resources decant from their old building to their new school building before Christmas. Design and specification, procurement and delivery of fixed FF&E.